THE NEO-NAZI WEBSITE Daily Stormer lost its longtime digital home last week. On Sunday night, the giant web-hosting company GoDaddy ordered the Stormer to remove its domain within 24 hours. The site moved to Google Domains, but not for long: Google cancelled its registration the same day. The giant web-hosting company GoDaddy severed its ties with the Daily Stormer, a white-supremacist website. In the wake of Charlottesville, dumping the Jew-hating white supremacists was admittedly an easy call. GoDaddy's tweet announcing the Stormer's eviction was heavily retweeted, and quickly amassed more than 90,000 "likes." But whether it was popular or not pales beside a far more important principle: freedom of association. If GoDaddy doesn't want to host a certain website, or a certain type of website, no government official should be able to force it to do so. Here is another news item about a company's denial of service. The owner of a gym in Atlanta was inundated with criticism after it was reported that his club refuses to admit police officers and active-duty military personnel. The no-cops, no-military policy at Jim Chambers's EAV Barbell Club isn't new, but it was suddenly in the spotlight after a local TV station aired a story about it — specifically, about a sign at the gym's entrance proclaiming "No F---king Cops." When the station interviewed Chambers, he expressed chagrin about the vulgarity, but none whatsoever about discriminating against policemen and soldiers. "We've had an explicitly stated no-cops policy since we opened," he said. "We don't want to make police stronger so that they can hurt people more efficiently. It's not a personal thing, but if you put that uniform on, quite honestly I view that as an occupying enemy army." Chambers doesn't just distrust police and the military, he hates them with the fire of a thousand suns. He calls police "a brutal terrorist force in this country" who "murder people and lock them up needlessly." He describes the US Armed Forces as "the most destructive and sadistic force the world has ever seen." He argues that police departments should be abolished — a policy he advocates with articulate passion. Chambers's beliefs are beyond grotesque. But give him credit for putting his money where his mouth is: He willingly forgoes the income he could earn from opening his gym to law-enforcement and military personnel. (He also says firmly that he would never call the police for protection in an emergency.) Unlike GoDaddy — which had resisted calls to expel the Daily Stormer, and only reversed course after the violence in Charlottesville — EAV Barbell Club's policy has been unwavering. The values driving these two business decisions could hardly be more different: in one case a backlash against neo-Nazi haters, in the other a revulsion for men and women who enlist in the defense of their country or their local community. I was as glad to see the Daily Stormer get the boot from the web-hosting companies as I was revolted to see Atlanta's cops and soldiers blackballed from a gym. I imagine many people feel the same way. But as an expression of freedom of association — the freedom of company X to accept or decline business from customer Y — the two cases are identical. GoDaddy has chosen (belatedly) to discriminate against neo-Nazis; EAV Barbell Club has chosen to discriminate against police and the military. In a free country, both choices are legitimate. 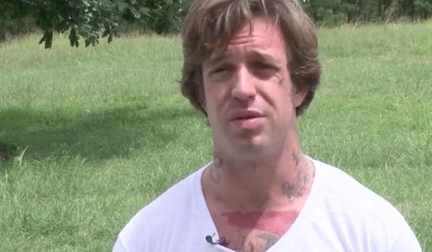 Jim Chambers, the owner of an Atlanta gym, refuses to let police officers or military personnel work out in his club. Freedom of association is as vital to American liberty as freedom of speech or religion. It ought to be protected as diligently in our economic life as it is in our social and political life. No law or court can tell you whom to befriend or what candidate to support or which neighborhood to live in. Neither should the state have anything to say about what company you're willing to do business with — or whether a company is willing to do business with you. But freedom of association has taken a beating in recent decades. To be sure, consumers remain unfettered in choosing where to take their custom — you can refuse to buy from any vendor for any reason, whether practical (the prices are too high) or shameful (the owner is an immigrant). Far less freedom runs in the other direction, however. Merchants and contractors have seen their right to form or avoid voluntary commercial relationships with others steadily curtailed. The list of protected classes against which businesses may not discriminate has grown enormous. Once it was only on the grounds of race, creed, and national origin that a company could not turn down a customer or job applicant without risking a lawsuit. Now those grounds extend much, much farther. In many states, as law professor Eugene Volokh noted the other day, a private employer cannot fire an employee because of his "political activity" — not even for participation in a neo-Nazi rally. Lawmakers find it easy to cherry-pick examples of intolerance and legislate against them. But tolerance isn't the only important value in American society. Freedom is too. To be free, by definition, is to make choices that others may not favor. Like freedom of speech and the press, freedom of association can lead to unfairness. But over time it is a far more effective antidote to prejudice and abuse than government coercion can ever be. 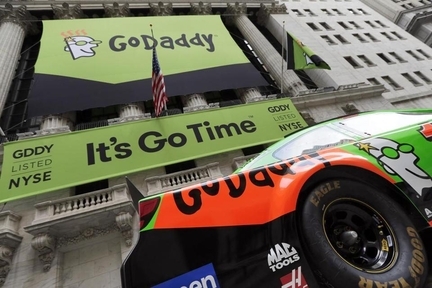 Did GoDaddy do the right thing? Did EAV Barbell? You and I are free to voice an opinion on whom any company should do business with. But it's not for us to make that call.